An innovative approach to treating both chronic and acute soft tissue injuries. During the healing process our body attempts to repair muscles, tendons, and ligaments with scar-tissue, much like a scar that forms on the skin when you have scraped or banged your knee. As you can imagine, the scar tissue is not as strong and flexible as normal, healthy, undamaged tissue. Over time we can have a build-up of this fibrous tissue, particularly in muscles, tendons, and ligaments that get a lot of use. This can lead to pain and dysfunction (and in some areas it may even mat down and entrap a nerve). What is a Graston® Treatment like? The treatment itself is uncomfortable at worst and soothing at best. Using a back and forth rubbing motion along the muscles and tissues, the treatment achieves tension release and increased mobility. Some may experience some mild bruising or temporary rosacea (hickey) in the treated areas and sometimes minor swelling, easily treated with ice. 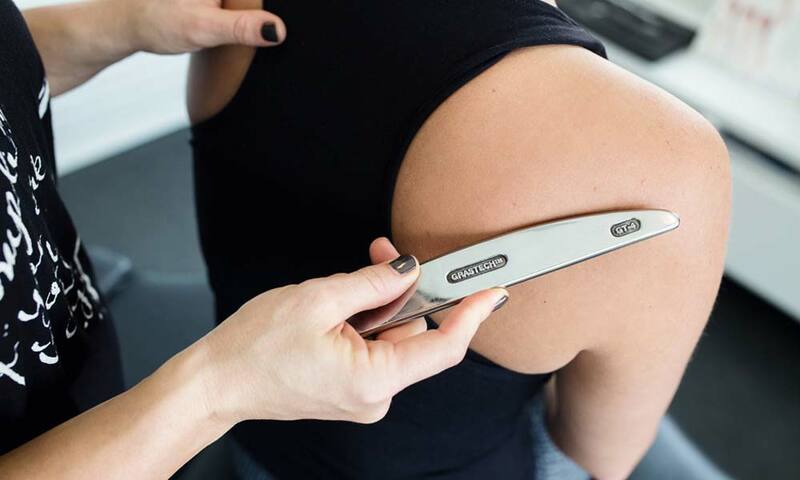 A nice alternative to Rolfing (an intensive massage therapy technique), Graston® achieves the same muscle release with less discomfort, and in some cases greater results. 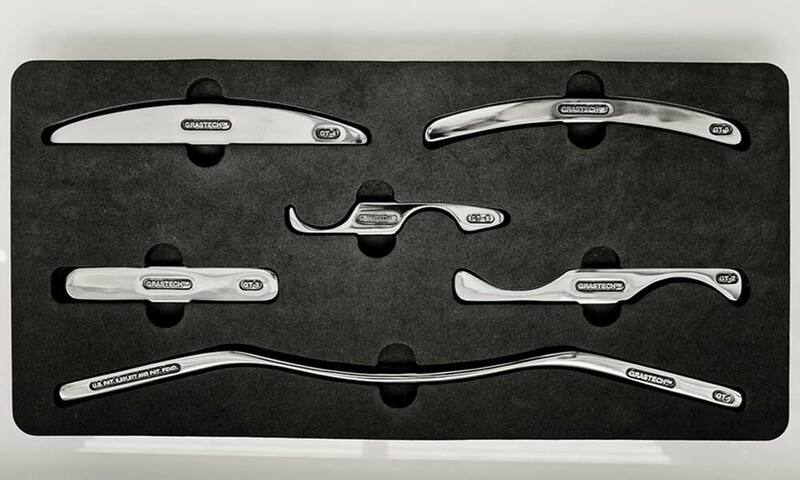 Graston Technique® is used in conjunction with other techniques such as chiropractic, physiotherapy, and occupational therapy to maximize rehabilitation and quality of life.